Recent data published by a U.N.-sponsored report unveiled the devastating scale of the damage incurred by the Syrian economy and infrastructure as the revolution entered its third year last March. The human toll of the conflict, already inexcusable in the sheer horrific number of those dead and wounded, is a reminder to us Syrians that our survival and the survival of the Syrian state serve as the ultimate defeat to an Iranian auxiliary regime that is systematically attempting to eradicate and demographically reshape large swathes of the country. Accordingly, we must begin now in earnest to develop a reconstruction plan even in the midst of the fighting. Assad’s military offensive has led to a loss of over $140 billion (Syria’s overall GDP prior to the revolution was $67 billion) to the economy-- and that is just a conservative estimate of the overall infrastructure damage incurred to civic institutions and industry. The economic devastation that has wrecked the country is in large part a result of the regime’s scorched earth policy. Assad’s war planes, artillery tubes, tanks and ground to ground rockets systemically target infrastructure required for governance, production, and service delivery in areas outside of the regime’s writ of control. Compounding the vicious cycle of war-time destruction and economic stagnation has been the relocation of Syrian businesses and the loss of capital to more stable countries in the region. Last week, the Iranian government announced that it is prepared to “help” reconstruct Syria. The regime has plastered announcements over the rubble in Homs that proclaim “together, we will rebuild.” The revolutionary movement must demonstrate to the Syrian people and to the world that rebuilding Syria is possible without Ba’athist institutions or the Ayatollah’s largess. The establishment of an interim government with ministries designed to resuscitate service delivery in the hardest hit areas in Syria that have been liberated from Assad’s forces. A plan has been reportedly established to expand the presence of these ministries inside Syria. This is a step in the right direction. As the head of multi-billion dollar business holdings with construction and industrial projects throughout the region, and as a proud Syrian, I am well aware of the seemingly insurmountable obstacles that face the Syrian people in attempting to establish a semblance of normality. We must begin by working with international partners and donor countries to expand the scope of the current Syrian reconstruction trust fund. A renewed effort is needed to begin an economic and political transition starting in the liberated areas. This will require a financial commitment and organizational effort of an unprecedented scale. Humanitarian support must not be viewed as mutually exclusive with reconstruction and establishment of service delivery. This will not be easy given the security environment, but establishing a model of governance and reconstruction will send a powerful signal to the world that there is a viable alternative to the Assad regime that can function and serve the Syrian people. According to the U.N. Report the destruction has resulted in 2.67 million individuals losing the source of their livelihood. For a country the size of Syria this loss of capital impacts nearly 11 million citizens roughly half of the pre-revolution population. Construction development agro-business institution building can set the stage to meaningfully employ many who otherwise have no other viable options. This will require both innovation and security. The Assad regime’s recent targeting of newly built schools and the provincial council building in Allepo show that Assad’s forces will not permit the requisite security environment needed for the success of independent efforts to improve the lives of Syrians living in the liberated areas. Rebuilding roads water pumps water distribution networks sewage and even residential buildings will require a measure of security from the regime’s airforce. Political ingenuity can also be a tool in progressing reconstruction. Localized cease fires can be utilized as a means to rebuild and possibly offer hope for the return of some of the displaced. Establishing an oil protection force and developing an alliance with Kurdish forces to reject extremist and radical elements attempting to capture the remaining functioning oil wells will be a crucial element to long-term recovery. We must also prioritize safeguarding oil wells from being damaged by primitive extraction and refinery techniques. Mobile refineries and local cease-fires that would allow industry experts an opportunity to survey functionality of existing wells in the liberated territory will help ensure that a critical element of Syria’s livelihood remains in tact. Crude oil exports need not be sold to the regime for financial gain (as some elements of Al Qaeda have tended to pursue). Rather by developing new routes that connect to the Kurdistan Regional Government’s new pipeline to the Turkish port of Ceyhan Syrian oil can find a market. The Syrian people have a history of perseverance in times of calamity. Syria was the basin for civilization because of the tenacity, ingenuity and forward thinking of its people. Rebuilding Syria will require tapping into that reservoir of survival independence and endurance to ensure that future generations of Syrians have a home that they can return to and that Assad’s Iranian backed attempts to radically shift the essence of the country through nihilistic scorched earth policies never succeed. 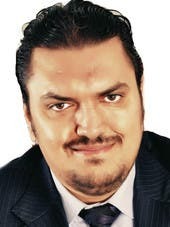 Moataz al-Khayatt is a member of the Syrian opposition with a professional background in business.